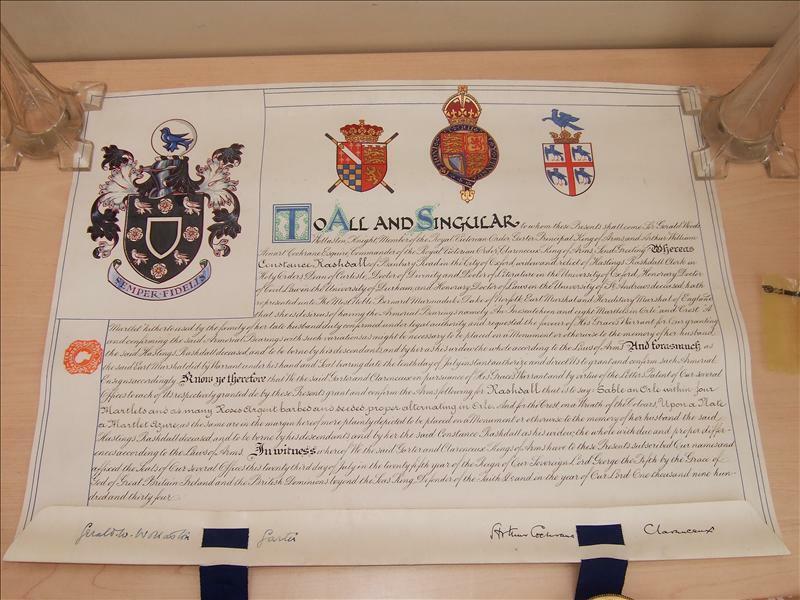 The original Grant of Arms for Hastings Rashdall has appeared on eBay. His widow, Constance, petitioned for confirmation of the Arms used by her late husband – An Inescutcheon and eight martlets in orle – “with such variations as might be necessary” for use on a memorial and by his descendants. Rashdale (Elland and Parnhill, co. York). Argent an inescutcheon beween eight martlets Sable. 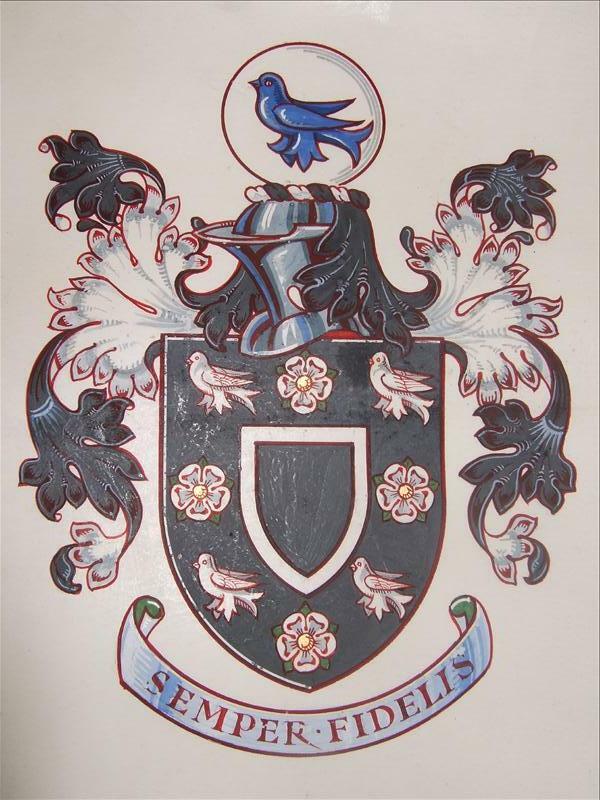 Arms: Sable an orle within four martlets and as many rose Argent barbed and seeded proper alternating in orle. Crest: Upon a plate a martlet Azure. This sold for £180.00 plus P&P. My thanks to Baz Manning for a copy of his work on behalf of The Honourable Society of Lincoln’s Inn where the Rev’d Rashall had been Preacher.